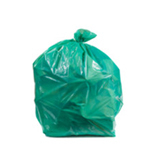 Clear, extra large, and heavy enough to handle the roughest refuse, these 65 gallon clear trash bags are a full 2.7 mil thick: that’s nearly contractor strength. 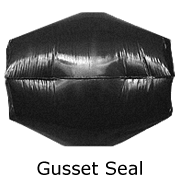 The low-density plastic is of the highest quality, offering superior puncture resistance. 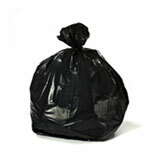 These bags are ideal for large-scale outdoor cleanups, and for large commercial garbage cans in warehouses or kitchens. 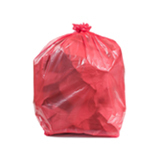 The clarity of the plastic means it’s easy to see what you’re storing, donating, or giving away. Proudly made in the USA, and sealed with an expanding, reinforced gusset seam. 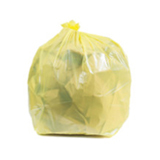 Clear, extra large, and heavy enough to handle the roughest refuse, these 65 gallon clear trash bags are a full 2.7 mil thick: that’s nearly contractor strength. The low-density plastic is of the highest quality, offering superior puncture resistance. 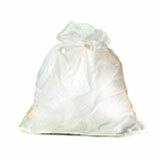 These bags are ideal for large-scale outdoor cleanups, and for large commercial garbage cans in warehouses or kitchens. 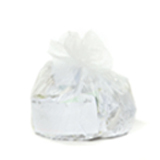 The clarity of the plastic means it’s easy to see what you’re storing, donating, or giving away. Proudly made in the USA, and sealed with an expanding, reinforced gusset seam. Bag load capacity: Over 100 lbs. A 5 time repeat purchaser. A 5 time repeat purchaser. 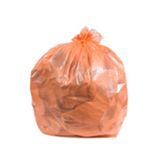 These bags are great. I wrote a very long review telling you how much a love the bags and especially that on my first order from you all you included the wonderful rubber bands( though I did have to pay for them) which is alright with me. I am using the first one now so they last a long , long time. By the way I (hit some key) on my computer and lost the first writing somewhere in this computer. 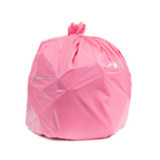 Ruth E.
These for our 95 gal city provided trash bin. Excellent bags. 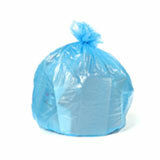 The quick reliable delivery allows us to get the supplies to our maintenance staff when needed.